In these hectic times many of us are looking for a place to find peace and tranquility. 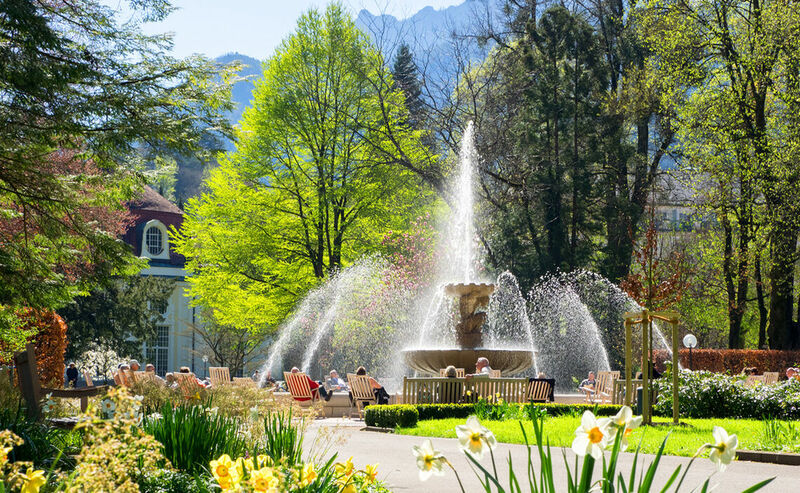 Bad Reichenhall's Royal Spa Garden in the heart of this town known for its salubrious climate is just such a place. This is a garden conducive to healing and where one can find peace and comfort. Surrounded by mountains and regal buildings you can feel the fresh breeze, even from afar, emanating from the AlpenSole brine open-air inhalation facility. You can breathe in this health-giving air in nearly every part of the spa garden. The salt-laden breeze is particularly beneficial for the respiratory passages. 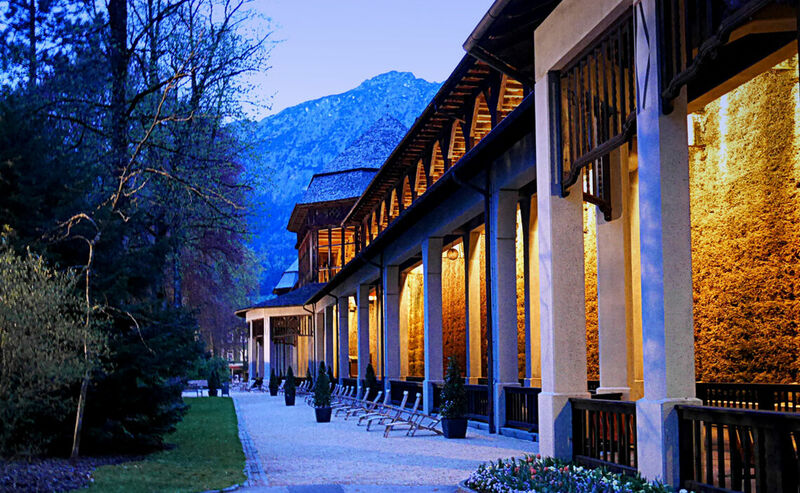 With some luck, you might hear pleasant music wafting over from the Circular Concert Hall performed by Bad Reichenhall’s Philharmonic Orchestra. Covering an area of some 40,000 m2 the Royal Spa Garden abounds in flowers and is the perfect place to relax and destress. 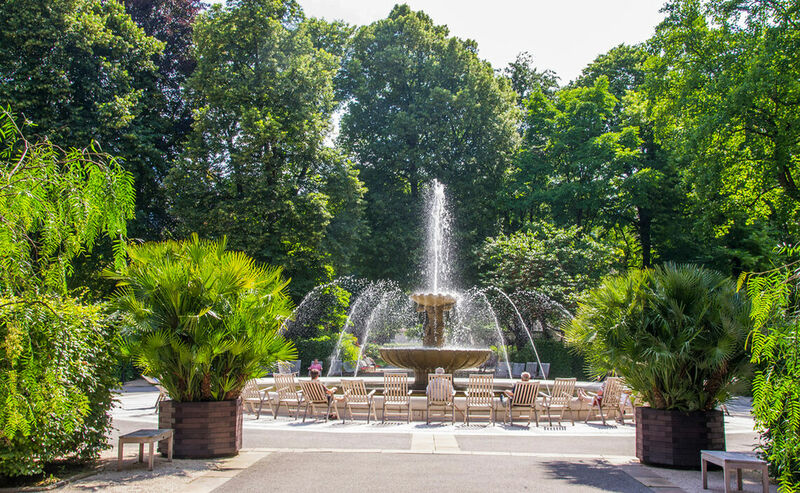 Here you can sit back in a deckchair and turn to pleasant thoughts while listening to the bubbling AlpenSole fountain or admiring the garden’s luxuriant vegetation. Guided tours through this health-giving garden are offered weekly in summertime. In wintertime, one can take a delightful stroll on the Advent trail that leads through the snowy spa garden. This is a particularly festive time to visit, when the park is decorated with light-studded Christmas trees during the weeks leading up to Christmas. In spring the Spa Garden dazzles the visitor with a sea of tulips and extends an open invitation to soak in some sunshine. 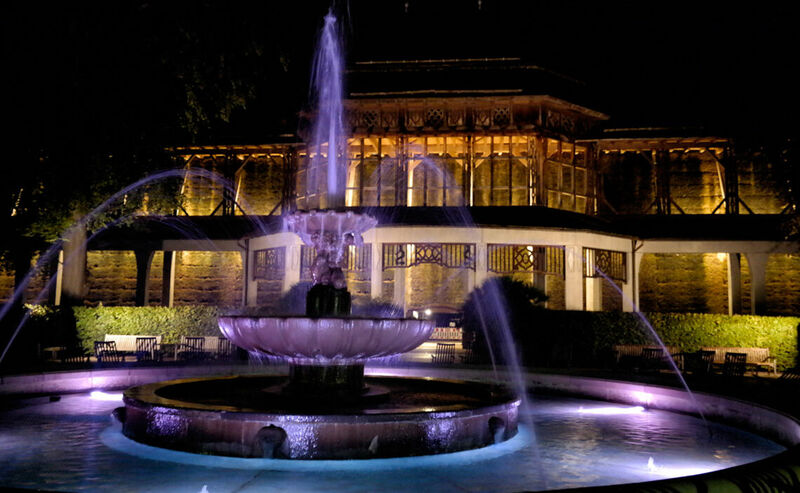 In summer the flowering plants and the palm trees create the perfect setting for the annual spa garden illumination, an event in which thousands of lights and lanterns transform the Royal Spa Garden into a colorful and magical world of lights. The reds and golds of autumn’s foliage set the stage for delightful walks in the subtle play of sunlight and shade. 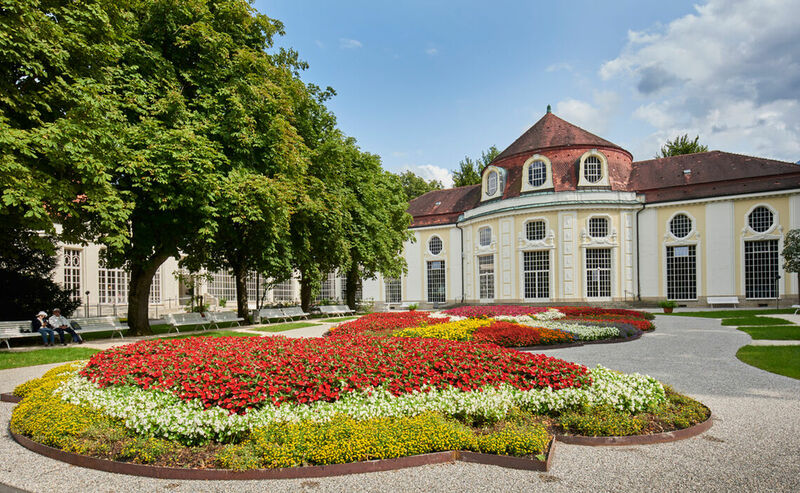 The Spa Garden was landscaped in 1868 by the royal Bavarian court gardener Carl von Effner and is considered to be one of central Europe’s most beautiful of this kind. It is harmoniously surrounded by stately architecture such as that of the Circular Concert Hall, the Königliches Kurhaus and the Lobby building. 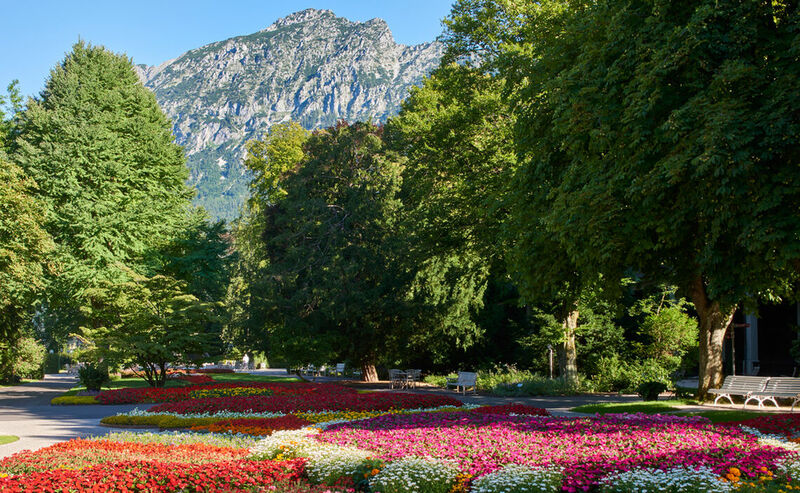 Resting comfortably on a bench you can enjoy views of the inspiring mountains that protectively surround Bad Reichenhall.